Blowout Sale! Free Shipping Included! 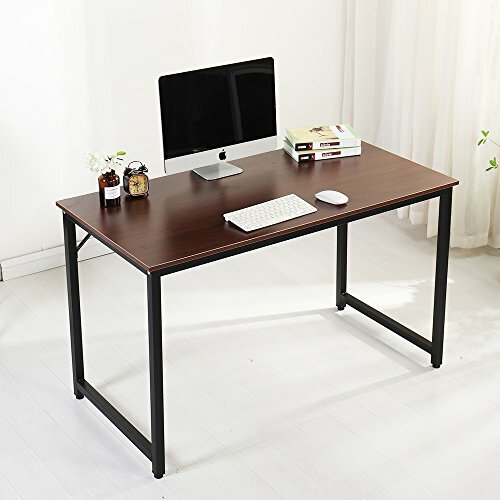 Save 53% on the Soges Computer Desk 47'' Sturdy Office Meeting/Training Desk Writing Desk Workstation Computer Table Gaming Desk, Wulnut JJ-T-120 by soges at Momiji Studios. MPN: JJ-T-120. Hurry! Limited time offer. Offer valid only while supplies last. Material: panel material is particle wood with high glossy finish, if there is dust/water stains, you only need gently wipe it clean. The computer desk frame materials is heavy-duty powder-coated metal which ensures stability and durability. Advantage: 1.Large work surface for a busy workstation; provides ample desktop space for laptop or monitor and printer. 2. Multifunction: this desk can be used as computer desk,computer table,writing desk,sturdy desk,office desk, training desk, dining table, meeting desk, exhibition desk etc. Note: Instructions has already updated in details,if you still receive the old version would you please spare a little time to look the "Technical Specification" at the bottom of this page to download the latest version or contact our after sale service,thanks.